Please post here when you have any fan works you'd like to show off. 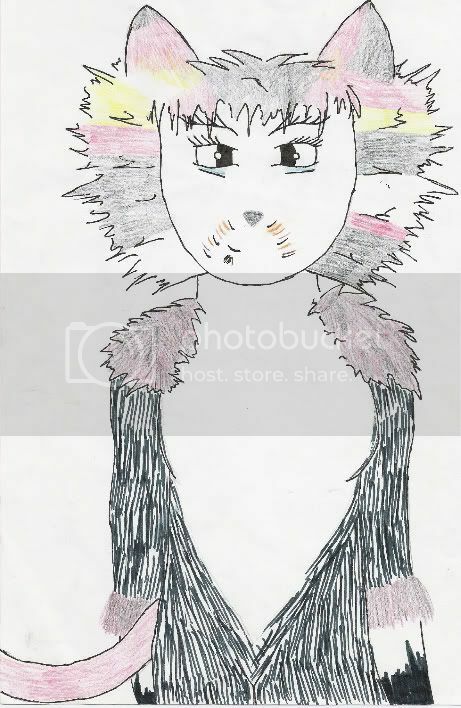 Fan works include CATS dolls, art, fanfics, costuming, face painting, parodies, and/or any other creative works that has to do with CATS. Be aware, however, that others may criticize whatever you publish on the web. Constructive analysis will be accepted, but personal attacks will not and will be edited/deleted. For example: just saying, "That drawing is stupid" is not constructive and serves no purpose. It will be deleted. However, saying, "This < point > needs something because it < point >. I would recommend that you do try < this > or < this >... " is better. Please do not post lewd and/or obscene material. If the picture is a very large file, it would be better if you posted the link to the picture instead of directly showing the image. That would be of help for those who use a slower, dial-up server. Also, please try not to post a full fanfic here. Instead, post a link to the fanfic. Please give a warning if there is any more mature subject matter within the fic or if there are any graphic scenes. There are younger people on this forum, and we don't want them going to something they may not be ready or wanting to read/see (or that their parents may not approve of). If anyone else thinks of any other guidelines for this thread, please post it here or pm me and it will be considered. 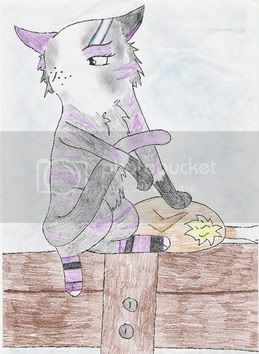 The fanfiction started by the show - begins three months after the Jellicle Ball, and chronicles the life and events of the Junkyard Tribe until the Return of the Jellicles to their homeworld. My fanfiction site also carries some "Lost Stories" and some other works. Artwork and Illustrations accompany the stories... by Michaela Olofsson and Anna-Karin Larsson. Here are a few small sketches I did a while back. Well, lookit this! A wonderful sticky idea, and a nice opportunity to slip in and say hello after such a long absence. Too bad my first year at college has left so little time for drawing. Still, it's good to see the board is still kicking. So many familiar faces still about, too! Anyhow, hello and here's hoping my avatar still works. Goodness. I'm afraid my CATS art has shrunken down to about one per year, thats last year, I dunno how 05 will be. he's a one of a kind and originally thought as a gift for Düsseldorf. However I changed my mind and decided to present Basel a full cast gift (as in London) and instead give this to someone who appreciates it more than... the dust on my shelves. There will be non alike offered again, artwise and commiss wise. Last edited by Akeyla on Tue Apr 05, 2005 11:09 am, edited 3 times in total. Hey everything you guys have posted is beautiful! 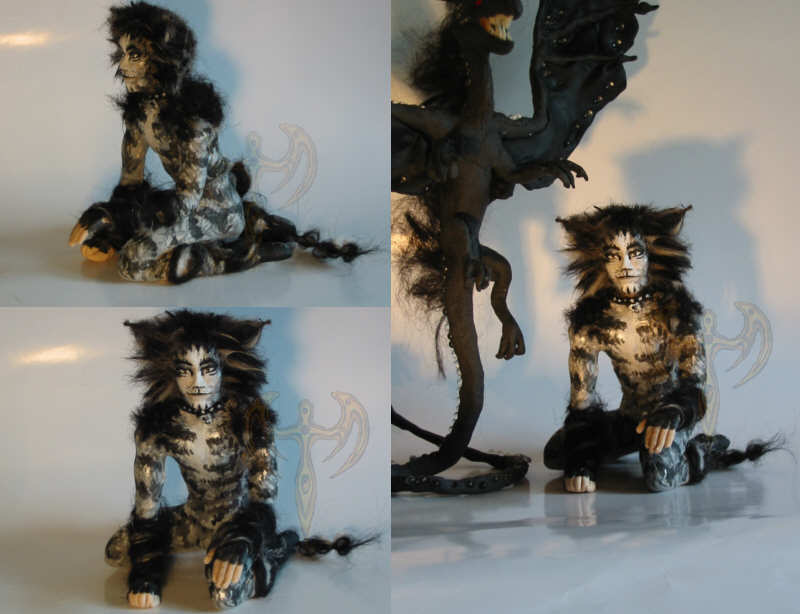 A lot of my Cats dolls were up here already so i won't post them properly, i'll just give you the link to their page on my site. http://i-dunno.com/pics/fid.jpeg Mungojerrie, Rumpleteazer and Fiddlestix. Based on a section of the jellicle chronicles. http://i-dunno.com/fan/catoneday.htm A cats life full of broken promises. Its short, its depressing, but its good. http://i-dunno.com/fan/catpirate.htm A different version of how Mungo and Teazer met. Also says how Teazer got her pearls and her accent. 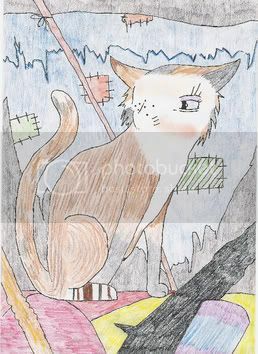 It's not your normal Mungo and Macavity story, in fact Macavity is mentioned once and that's in an arguement. Last edited by RainyCrystal on Thu Jan 06, 2005 5:43 pm, edited 3 times in total. Click on Lollymj and then Cats to see them all. Well here's a doll I just finished something like 10 mins. ago. It's for Somali and is of her character Somali.I think it's pretty good for only my second time doing a doll. 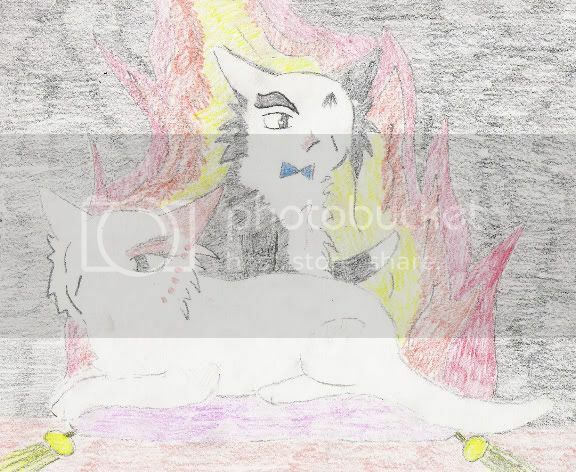 I SHALL BURN THE MEN IN WHITE UNTIL THEY BECOME THE MEN IN BLACK!!!! Somali:Men in white coats have funny candy. Its always fun til someone loses an eye.Then its hey,look free eyeball! Just a few sketches I've done over the past year. Can we post just regular dolls? or is this CATS ONLY?